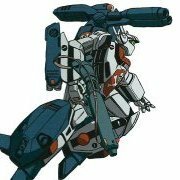 I've been waffling over posting this or not, but it's become clear that this resource of translated and organized material should be a little bit more visible for the Macross community. http://sdfyodogawa.mywebcommunity.org/ Macross Translations All translations that I've made available on the internet are indexed under the Translations header. They are kept up-to-date as I add new translations to the web. The easiest way to check for new content is to refer to the revision date in the upper-left corner. Reviews Slowly growing. Check back for updates! Translation Tools Recommended, useful and accurate. Some require minimal Japanese knowledge to use. Sadly, some of the better ones have disappeared from the net. Sketchley Stats sister site: http://sdfyodogawa.mywebcommunity.org/Stats/index.php Note: if content is in green, it is canon. If it's not in green, it's based on educated speculation. Sketchley Statistics: All the equipment found in Macross that I know of. RPG stats are for the Palladium game engine. I've created the stats as: a) canon accurate (even if it's game unbalancing) b) game balanced & consistent with each other (therefore, they should be convertible to other game systems) Discussion on the stats is here: http://nomansland.site.nfoservers.com/MRG-Active-Archive/forums/index.php Locations Even though some things are guesses, it includes all of the canon location information I've come across. (Any assistance on locations that are missing would be appreciated!) Note to moderators: I've been waffling over posting this in this forum, or the Homepages forum. I opted for this section because of the canon Macross information in the translations section, as well as having the intent of posting future translations not worthy of their own topic herein. Thanks. Finally got around to getting one of these. Can't wait to check it out. Old Macross covers for the magazine "OUT". http://www.crunchyroll.com/anime-feature/2012/02/06/feature-japanese-anime-magazine-retrospective-out-in-1984 Also a Mosepeda and Votoms cover. Very cool.